Our local had these for £1.75 last year. They don’t usually sell double packs but had them in reduced section. A lot of bags do have the roasted date on, just in a different format. They will have a code like 19060 or 06019 near the 'best before' date both of which would indicate a roast date of the 60th day of 2019. Ordered. Heat added. Thank you for posting. Very good points. Apparently no earlier than 7 - 10 days after the the beans have been roasted to allow the oils to settle and up to a month after roasting (before the drying out process really gets going) is the best time for coffee beans. Very good price, ordered this a good few times now. One thing I particularly like is that these bags have the roasted date as well as the best before end date. The closer the roasted date is to the actual date the fresher you know the coffee is. I typically have received them within 2 to 3 months of being roasted, which isn't a pinch on having them roasted at a specialists same day, but it's a fair bit better than a lot of 'off the shelf' coffee beans which do not have the prepared / roasted date so for all you know they could have been on the shelf for a while. Great coffee at a good price. £29.00 delivered from Lakeland via Amazon. 3 year warranty from Lakeland to. 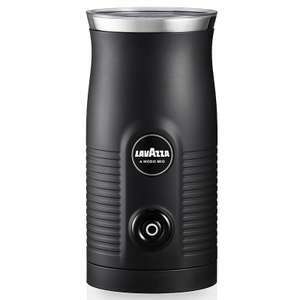 Lavazza intenso tin coffee 95g half price and other types , £2.50, decent coffee and brand. Sainsbury’s online and instore. Good coffee and good price ! Best value for money beans going! Consistently excellent! Was £8.99 in Costco last week. But I bought of Amazon at this price a month ago. A nice bean for sure. Back in stock grab a bargain while you can. It has excellent reviews just picked one up myself. Use the voucher code and choose click and collect for the price shown. Pretty good machine, it makes lovely thick frothy milk very quickly!!! Brilliant!!! @wakkaday bf has an aerocino and we have one of these I’d say they’re pretty similar. Seems a decent price for 1kg. Still valid, just ordered now. Heat added, thanks op! Best of luck getting that price again. 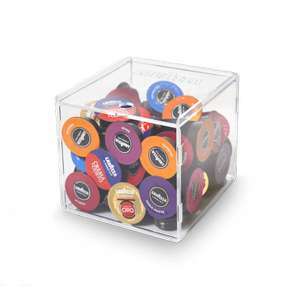 Never miss a 'Lavazza' deal again! Yeah, I don't own a microwave for example, also would be good for offices and such, also does cold milk (I didn't realise mircowaves could cool) but whatever I'm not one to waste my time arguing with people on the internet. I've bought it and it's a good price so thought I'd share. These are handy and not everyone or each situation says there is a microwave and whisk available. .
For those with Costco card ( or a friend with one) currently on offer £3:49 for 500g pack. We tried some Ethiopian beans from here for £9.50 delivered 1kg and they were totally acceptable .. To my palate anyhow . Not experienced the procier end . I emailed them and they confirm 100% Arabica so I'm getting a kilo. If nothing else I expect they'll be nicer than these Rossa. They really are very cheap, especially for freshly roasted beans. Shame that most roasts are dark to very dark. A medium roasted Ethiopian is a shame and makes me dubious about bean quality. Yeah. I post a lot about coffee. I know about coffee. I'm often reluctant to post though, because your post is as dull and tiresomely typical as you assume my motivation for posting is to show off. I know it's insecurity. People drink this stuff and get offended when anyone dares criticise it. Because you're insecure enough to be offended over choice of coffee you attack people personally. Whatever. For all the offended children sometimes people actually want to talk maturely about coffee, so I hit the mute button and carry on. I get you, without knowledge of something when people show their passion it does look like they are trying to show off. Don’t believe the haters! This is a solid benchmark for middle of the road coffee, very enjoyable - not the worst or the best. Agree with @horsepills Yawn. 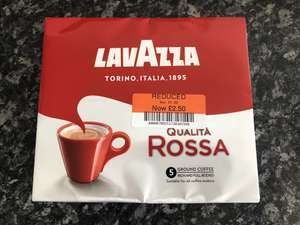 L avazza oro is down to £3 a pack at Sainsbury’s instore. 100% my favourite ground coffee. I normally cut in 50:50 with Lavazza Rosso of Lidl Green top. Drinking it black as I type, bliss. Hot. 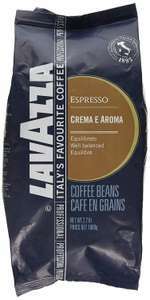 I bought a bag of these Lavazza Qualita ORO and a bag of their normal Lavazza Rossi beans in the 2 for £6 deal. I tried the ORO beans this morning and found the strength a bit low and was a bit disappointed to be honest (been using Waitrose own brand Colombian Arabica beans recently which are ok, but not my favourite) I am a Costco member and rate their own brand ready ground Kirkland Columbia’s Supremo highly which normally about £8 for 1.2kg, but I can’t use it all up quickly enough before it goes off (tried putting sealed bags of the coffee in the freezer but it still goes off. My absolute favourite is still Illy, but sadly it’s normally £6 a tin for 250g! - sometimes it’s on offer for £5 tin a couple of tunes a year. Thanks OP, I usually buy Lavazza Creme e Aroma beans which include Robusta. It will be interesting to compare that to this 100% Arabica coffee. Arabica is meant to be more aromatic, less caffeinated but more flavourful though very expensive. As the name suggests, it comes from Ethiopia, Yemen, Syria, Turkey etc. Robusta are the inferior South American varieties from Brazil, Costa Rica, Columbia etc. Robusta is high in caffeine and yields nice crema (the golden layer of foam atop your espresso). Brazil is the home of robusta. Real Arabica is rare and very expensive. Coffee was first discovered in Ethiopia but first real brewed cup of coffee from roasted seeds was invented in Yemen. I think so that’s what I was just looking at. Looks like £15 to get an online only membership. I paid 6.41 Which makes it 17.80 per capsule ; recently amazon increased the price so I had to cancel my subscription. But I am sure it will be same soon as I never paid more than this on amazon. A great price if you like it. I'm sure I'll be told that it tastes rank :D I've no idea if this is a national price, hopefully someone can confirm. Try union coffee beans on offer at Waitrose at the moment £3.33 and can use visa cash back at the moment to get £10 off £50 spend as well. My top coffee beans - Morrisons best Brazilian level 4 Taylors Hot Java Taylors level 4 or lavazza To be fair I do like a full cup of coffee, I press the 2 full cups button on my machine just to fill my 1 cup :D . Maybe not how lavazzi is suppose to be drank. Not saying it is bad, just not as good as the 2 above. Anyway hot deal from me, I normally pay £3 per single bag or 2 for £6. There is no VAT chargable on food items so it's £6.99 all in. As for a limit, sometimes they do limit numbers at a level I can't imagine anyone ever reaching, even retailers, but the latest offer sheet makes no mention of a limit so I have to suppose that you could buy a full pallet if you so chose ! is it £6.99 plus vat on including? and is there a limited on the purchase amount? On the website the only offers are 2kg for £16 or 1kg for £10... Is this in-store only? That's only for buying online. To get these offers and shop instore you need the full membership for £33.60.